Wilfred Pinfold is a computational scientist who has used computers to model some of the most interesting engineering and scientific challenges of our time. After completing his PhD in computational fluid dynamics he applied computer simulation to engineering challenges in aerospace, automotive and offshore structures, scientific challenges in climate modeling, astrophysics, chemistry, and genomics and control challenges in power grid, smart cities and large test facilities. He is an accomplished innovator and entrepreneur having studied business at Stanford he launched numerous business initiatives including in bioinformatics and analytic software. 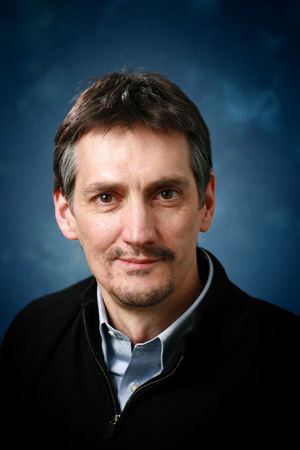 He has experience leading large system deployments including the successful delivery of ASCI Red to Sandia National Labs, the first Terascale supercomputer. He has lead numerous advanced research programs including those with DARPA and DOE to design next generation Exascale hardware and software. Dr. Pinfold teaches innovation and entrepreneurship at Portland State University has served on numerous commercial and non-profit boards and is an active member of several professional societies.